The local authorities in the German town of Göppingen have already used several road-lighting projects to make the switch to LED – with more set to follow. The R2L2 range, designed by Thorn for exactly this kind of urban function, is making a real impression in Göppingen with its economic benefits and attractive look. 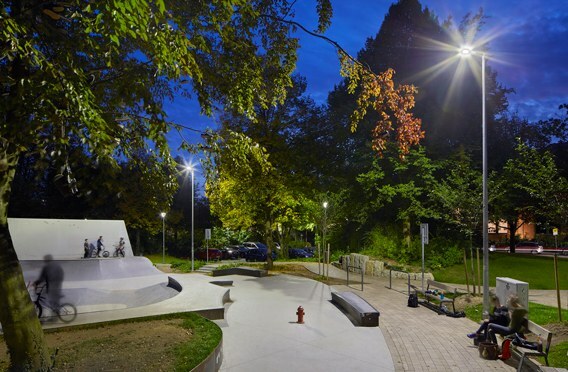 At the same time, Thorn has called on products from the Urba portfolio to provide the perfect lighting solution for the varied requirements of the “Ort der Vielfalt”, a multifunctional leisure complex in the town.